I saw Milk for the second time tonight and it is much better the second time around. I’ll be the first person to admit that when a movie is receiving Oscar buzz, I almost always have to see it twice. After the first viewing, I’m iffy about the film – I like it and can see why others think it’s great but I’m just not as likely to jump on the Slumdog Millionaire party express. A second viewing really enables me to put aside everything I’ve heard and just watch. This is exactly what I had to do with Milk. 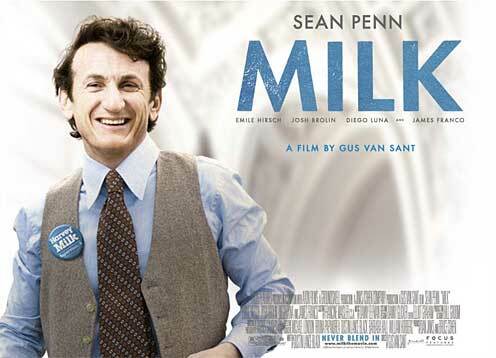 I enjoyed Milk the first time around but seeing it again tonight allowed me to read the true depth of this film. While I noted the use of archival footage to tell Milk’s story, it did not stand out to me as an exceptional element of the film. Now I see that the archival footage is a crucial part of the story because it tells the history of both San Francisco and the gay rights in a way that just Harvey Milk’s story could not. James Franco’s performance as Milk’s supportive but unhappy partner stands out more than Josh Brolin’s destructive villian. I finally understand why Milkhas received so much buzz. Visually, The Curious Case of Benjamin Button is stunning but it does not have same passion and insight as Milk. With the Oscar nominations being announced in just THREE days, I certainly hope this fantastic movie fares better with the Academy voters than it did with the HFPA. Previous Previous post: Foxx to play Obama?